I am on the train from Madrid to Málaga. There isn’t a quiet car and I’m hearing ding dong, a steam engine blowing, a harp, da da da da dunt, birds chirping. It’s an orchestra. Oh wait! It’s a life filled with the beat of cell phones. Train travel is the same in every country. A car filled with passengers is like a theater stage lined with musicians and actors clinging to their big moment. Alas, I arrive in Málaga, a region in Spain known as Andalusia or the Costa del Sol. Andalusia bridges the gap between Spanish culture and its North African Islamic neighbors to the south. The Christians conquered the Islamic Moors (of Arab and Berber descent) in the late 15th Century and built a church in every plaza to prove it. Málaga has a population of about 600,000 people and relies heavily on tourism, commerce and technology. It’s an active port town situated on the Mediterranean Sea. Tourists from all over Europe flock to Málaga for sunshine and beaches and “la cultura” of Spain especially those from Germany and the United Kingdom who beg the sun gods to take pity on them. The Málaga beaches are not Spain’s most beautiful as they are rocky and the water isn’t the clear aqua blue of Italy and Croatia but they are clean and worthy of a splash or swim. There are plenty of restaurants and accommodations to cater to tourists or you can take a morning or late afternoon stroll along the promenade. 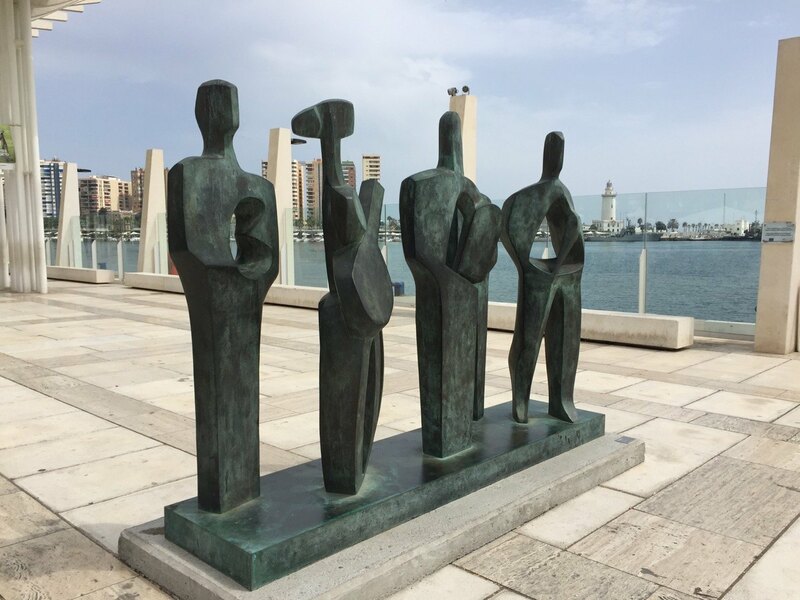 When you tire of the saltwater, hop on the City Sightseeing bus or explore the Picasso Museum. 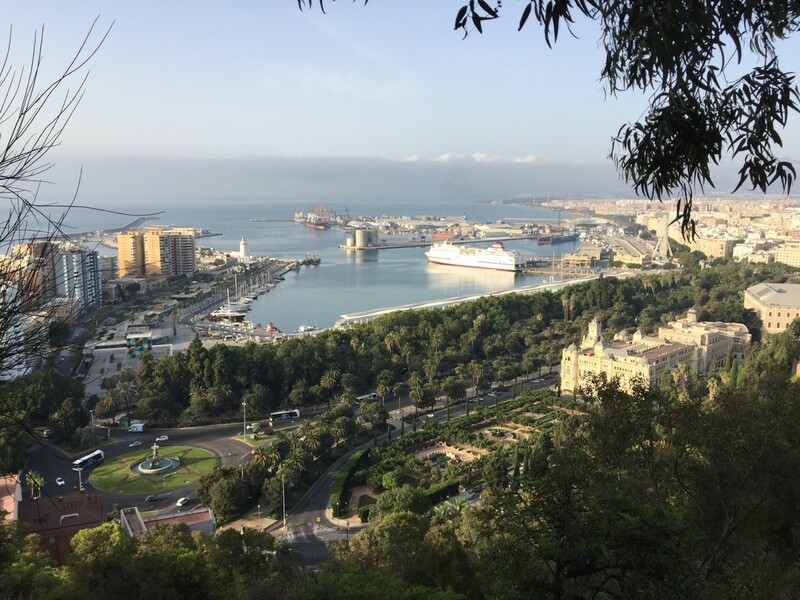 If you are feeling adventurous, hike up to the Gibralfaro fortress of Málaga for 360-degree views of the city. It’s the best way to get a sense of the city’s modern and historic architecture and vibrant coastline. Eat some Iberian ham, sip on vino blanco or tinto, feast on fried calamari and take your siesta on the beach until it’s time to get up and eat again. Málaga is filled with fun shopping, splashy new buildings and narrow alleyways. The historic district provides an opportunity to get lost and find a restaurant or store off the beaten path. Outdoor cafes and ice cream vendors crowd every street. Skip the siesta for an afternoon and explore. 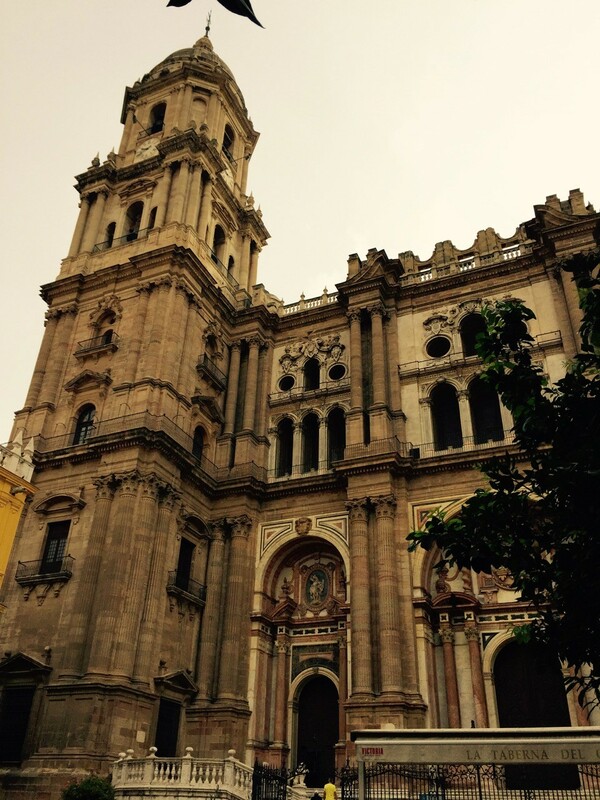 What to see & do in Malaga?